Good news everyone: Innocent have launched the Big Knit 2012! 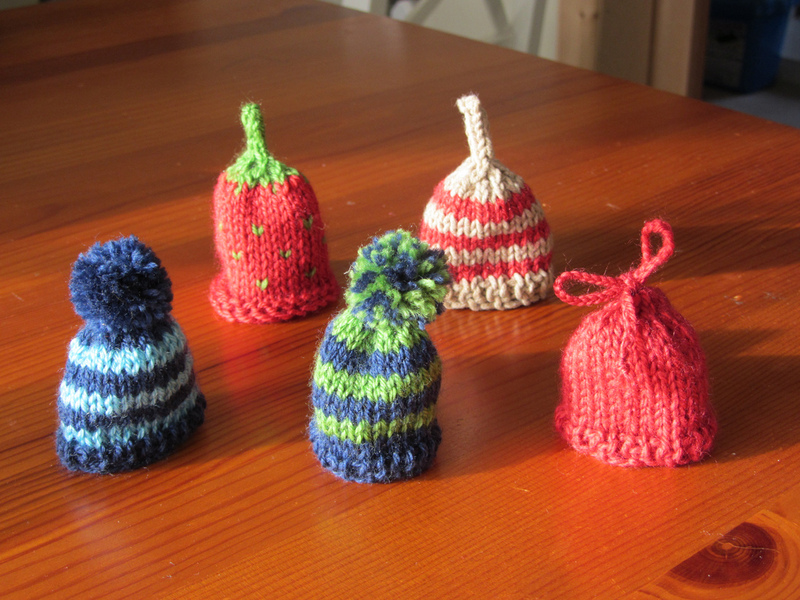 This is a really fun way to raise funds for Age Action: for each little hat you knit and send to them, Innocent will give 25c to Age Action. And the funniest part is: each hat is fitted on one of the Innocent bottles sold in shops from January. Irish innocent knitters have until Friday 30th November 2012 to forward their hat to Innocent, let’s get going! Last year I was a little late and only had time to knit five of them. This year I want to knit at least 30, that is if my yarn stash allows it. Now sorry and bye bye, I have mini hats to make. These are sooo cute. It is a really good idea – happy knitting! Thanks, I adore these little hats too, you can get the patterns on Innocent website. I may well check them out – thanks. These are absolutely adorable! 30 won’t take too long and if you are working from your stash – each one will be different and you will be knitting as fast as you can just to see how it turns out!! Good luck – I hope you make your goal. Thanks, I will need to start soon enough if I want to reach my goal, but thanks for your support! I did this last year and have done a few so far this year too. They are quick and easy to make but I haven’t set any goals. I’ve got more colours to choose from this year so I’m having fun with colour combinations. I hope you make your goal.